Few things in this world are better than a Masterbuilt double-cut Duo Jet, and this NOS recreation of a '62 model had me jumping for joy when I plugged it in. 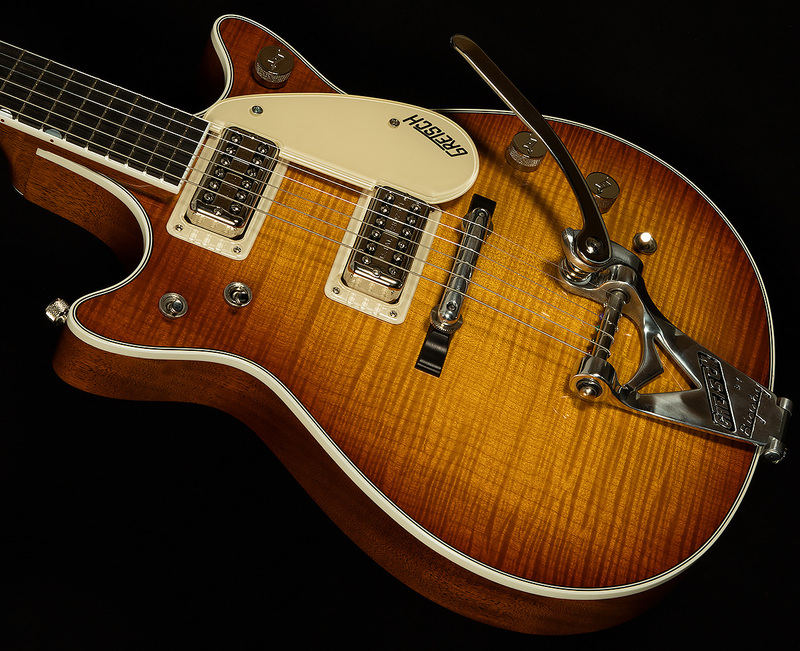 First things first, though: look at that glorious maple top! Now that we've finished ogling, on to sonics! 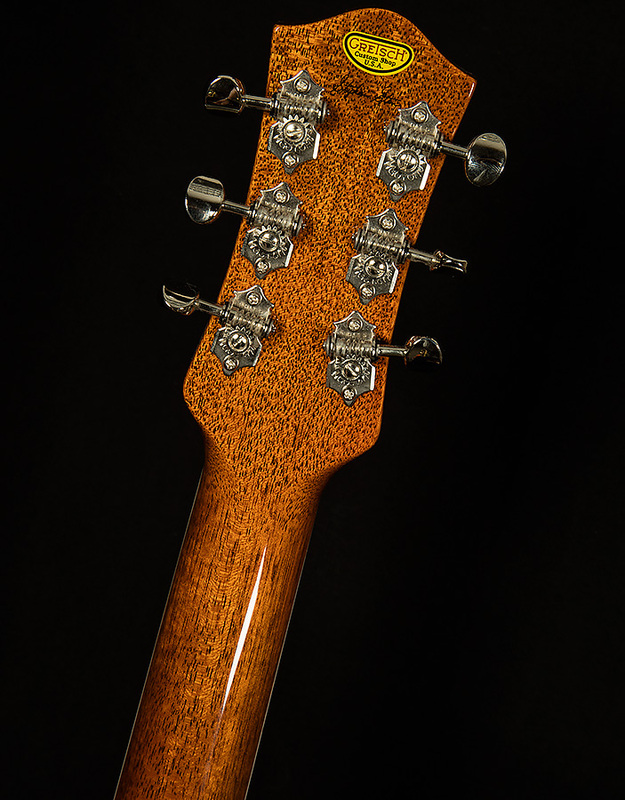 This guitar has a wonderful open high end full of sparkling, shimmering overtones. 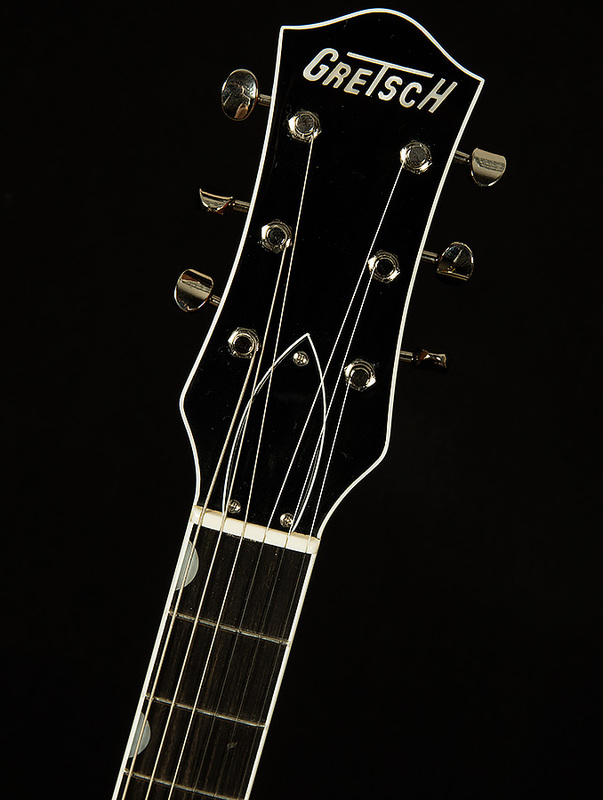 The midrange is focused and vocal, and the low end is wamr and inviting. 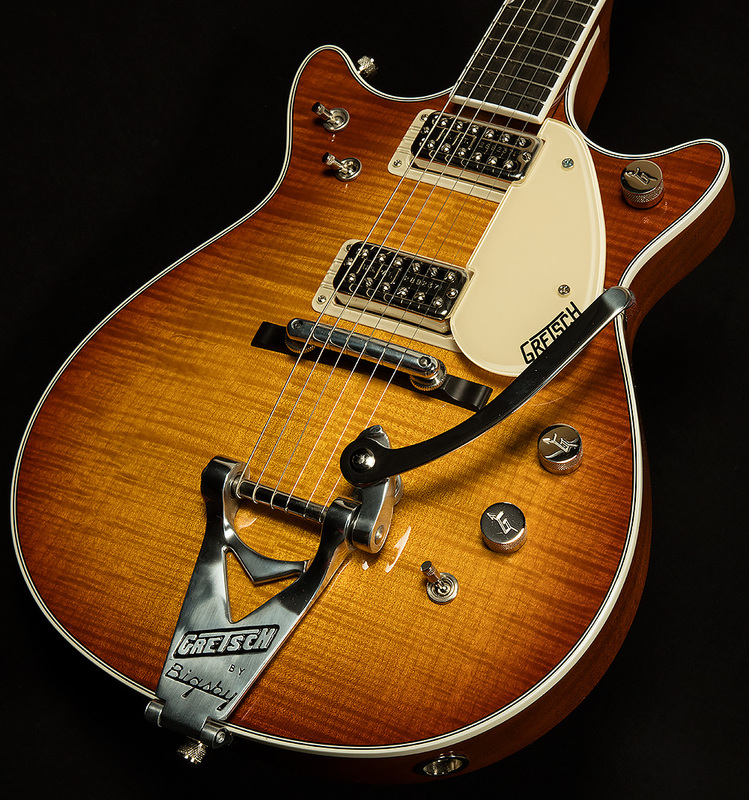 Using the bridght/dark switch, it's easy to dial in everything from classic Gretsch twang to nasty punk to Neil Young proto-grunge to AC/DC crunch to warm jazz. 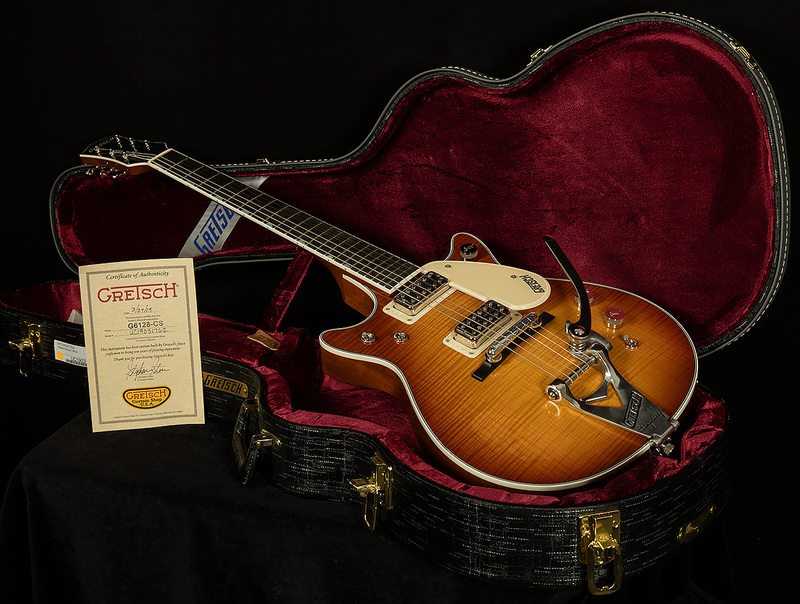 Anyone seeking a stunner of a Gretsch will love this serial!